In Formal Opinion 2018-5, the New York City Bar Ethics Committee stated that a lawyer is not permitted to enter into “a financing agreement with a litigation funder, a non-lawyer, under which the lawyer’s future payments to the funder are contingent on the lawyer’s receipt of legal fees or on the amount of legal fees received in one or more specific matters.” The Committee began its opinion by noting the benefits that have come with third party litigation financing, including opening access to courts for individuals previously priced out by the cost of litigation, and the balancing of the playing field between average litigants and deep pocket entities. The Committee also noted that third parties continue to have the option of lending directly to litigants themselves, in what are commonly referred to as lawsuit loans. Lawyers, however, are not permitted to enter into any agreement with a third party financier under Rule 5.4 as it constitutes impermissible fee sharing with non-lawyers. 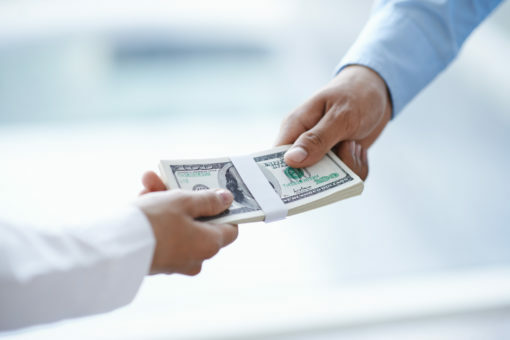 The Committee explained that while attorneys may take out loans to run their firms, or even fund a particular case, repayment cannot be tied to the outcome of the litigation without running afoul of Rule 5.4. The Committee found that this is clearly a split of legal fees with a non-lawyer, and that such an arrangement has been barred for hundreds of years. However, the Committee concluded its opinion by stating that while this remains the rule as written today, it does not comment on the underlying public policy of the rule or deny the ability of the legislature or judiciary to make a change. While the litigation funders directly affected by this opinion have criticized its interpretation of Rule 5.4, it is difficult to argue that the precedent weighs heavily in favor of the Committee’s opinion. The key factor drawn by the Committee, a connection between repayment and the outcome of the litigation, is well settled and has been similarly drawn in states around the country when analyzing companies like LegalZoom and Avvo. What should instead be the focus of these financiers is the conclusion of the opinion, which practically invites the rule making authorities to reconsider the underlying premise of Rule 5.4. The Committee appears to have gone out of its way to point out that it is bound by precedent, and is in no way making a statement that public policy continues to favor a strict enforcement of Rule 5.4. Litigation funding companies may be better off leaving the substance of this opinion alone, and instead focusing on what is already a well-funded lobbying effort to seek a change in Rule 5.4 itself. As Avvo learned the hard way, states will often fall like dominoes when rulings such as this are released. Arguing for differing interpretations is therefore likely to be a losing battle, and resources may be better spent on advocacy for change of the rule altogether.